SAYREVILLE NJ: Gerdau has signed the Final Acceptance Certificate for the robot PolyTAG BLE supplied by Polytec Robotics. This hot billets tagging robot is equipped with a specific warehouse for the tags, in order to manage a charge up to five billets, with a cycle time reduction. 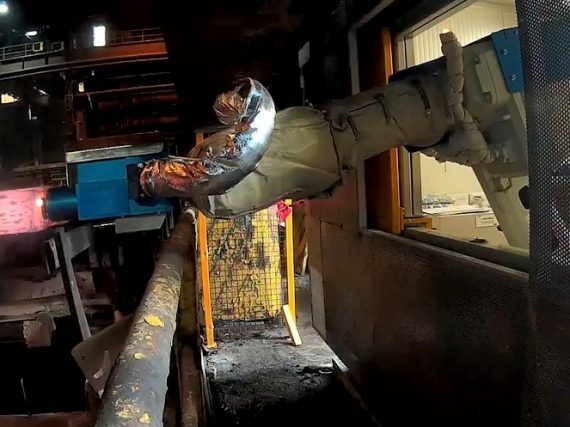 PolyREAD is a tag-reader solution implemented by Polytec Robotics to read each tag applicated on the billet moving on the roller way to the reheating furnace.